Self care is required for moms of children with autism should be a mantra for every autism family who homeschools their children. 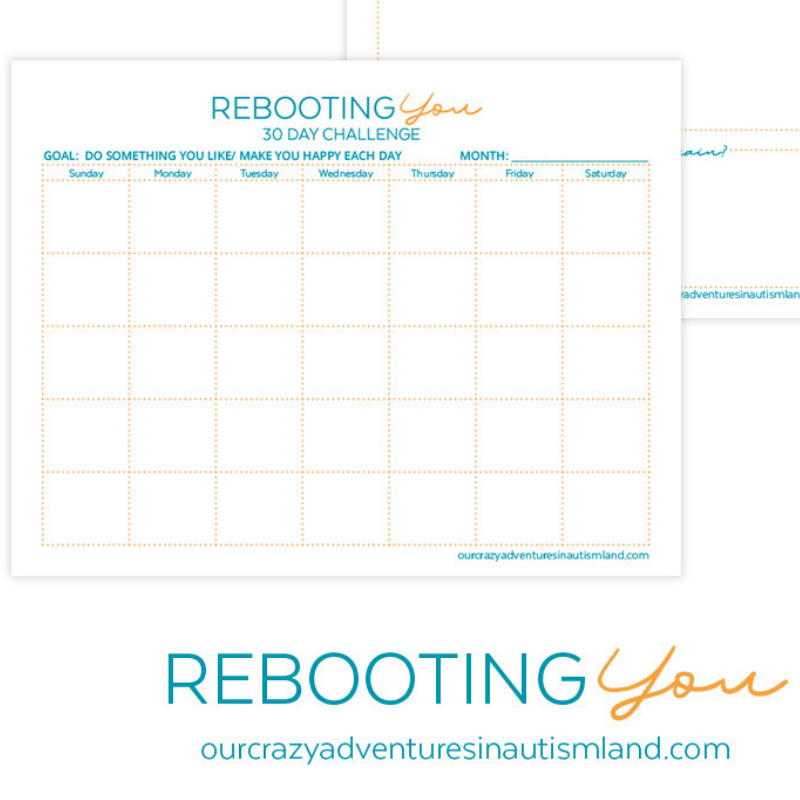 Moms get so caught up in the daily tasks of homeschooling in addition to cooking and cleaning, plus autism that burn out can happen quite quickly. 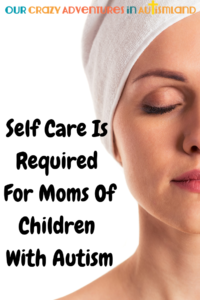 What homeschool moms have to also fight is that attitude or perception that self care makes them selfish. In fact, nothing could be further from truth. Self care enables a mom to function at a much higher level which benefits the family dynamic as well. Self care can be anything you do that involves taking care of your needs and only your needs. It can be as time consuming as a weekend away or as little as a few hours. Like to sew? Take an afternoon to work on a project. Take a long hot bath with headphones in so you can’t hear the chaos of the house. Recently after a field trip to the hydroponic farm more than an hour away, music class, dance, church, as well as having my mom call me in the middle of my Mission Friends class to complain about something completely stupid , I called it a day. Completely vegged out on my bed watching baseball since Dad was home to take care of the kids. You know what? It was still a successful homeschool day. A mental health day can and needs to be called with no regret. I could have insisted that lessons and chores get done because they were planned. I was extremely tired and hungry when I got home from the field trip. It was a fun field trip just far away and early. What would have happened had I done that would have entailed lots and lots of yelling and crying by someone, namely me. It simply wasn’t worth it. I am extremely blessed to have a husband that recognizes fatigue in me. He’s not afraid to tell me to take a rest. He’s also willing to take over the homeschool reins on those days as well. We make a great team. The point is to put your oxygen mask on first. You can’t raise strong, well adjusted kids if you’re a wreck. Your kids will never remember that they ate cereal for dinner once a month so Mom could read a book. They will remember as well as learn that taking care of themselves is important. Moms of kids with autism have levels of PTSD similar to soldier in combat. It’s imperative that you take time to take care of you if you want to continue to be able to take care of your child. Don’t neglect this important task. Are you ready to join our challenge and make you a habit? Autism Moms: These Jobs Are Perfect For You!